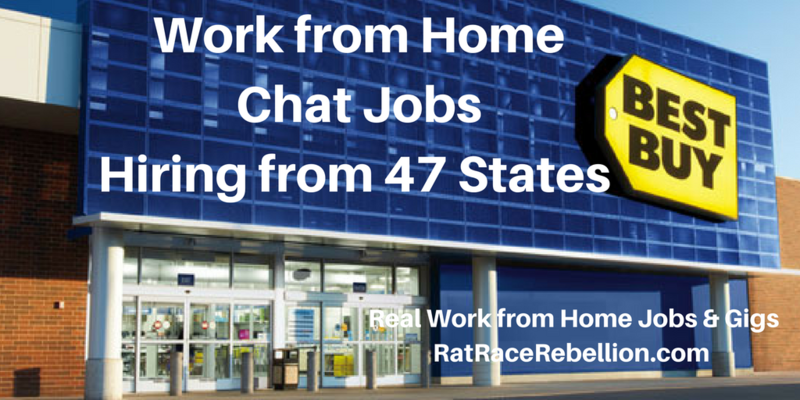 Best Buy is looking for work from home Chat Agents for its Geek Squad brand. This is like a Help Desk role. In a nutshell, when Best Buy customers come in through the GeekSquad.com site looking for tech help, you’d assist them in identifying the problems they’re having with their products. Then you’d send a Geek Squad member to go help them. Requirements include the ability to commit to at least 35 hrs./wk., a high-speed net connection, and at least one year troubleshooting and diagnosing Microsoft operating system issues, one year on Apple issues, and one year on mobile devices. No wage is given, but a Geek Squad Consultation Agent reportedly makes $11.33/hr. You can find general Geek Squad pay reports here. To go straight to the job, click here, and good luck! This entry was posted in Chat Jobs, Tech Support, Work at Home Jobs and tagged Best Buy, Geek Squad. Bookmark the permalink.